The State House in Augusta, as seen from Capital Park on Dec. 5, 2018. A private consulting firm has concluded that Maine can do far more to serve children with behavioral and mental health needs, after finishing a wholesale review of services in the state. After five months of interviews, data analysis, surveys and town hall meetings, Boston-based Public Consulting Group determined that services are often not available immediately or at all for children with behavior and conduct disorders, autism, developmental delays, depression or anxiety, post-traumatic stress and attention deficit disorder. If services are available, they’re not always near families; children do not always get the right care; the quality of care is not consistent; and the coordination for youth transitioning from children’s to adult behavioral health services is inadequate. The firm’s Dec. 15 report, produced for the Maine Department of Health and Human Services, put forward 24 recommendations for improvement, as part of the first major review of children’s behavioral and mental health services in Maine since 1997. All together, the ideas would represent an overhaul of a tenuous system of services. Some of the recommendations are to create a strategic plan for the system, revise how children waiting for services are assigned providers, hire a full-time on-site medical director for the Office of Child and Family Services within DHHS, better analyze and use data to drive decision-making, expand access to respite care for family members who need a break caring for children with difficult behaviors, improve the responsiveness of crisis services for kids, address shortages in the health care workforce, and strengthen the relationship between the juvenile justice system and community health services. The state paid $213,000 for the 140-page report, according to a copy of the contract. The Bangor Daily News obtained the final report under a public records request. The BDN has documented how hundreds of children are on waitlists for services delivered in their homes and local towns, as providers have struggled to hire, pay and keep qualified staff. In addition, the BDN has written about how the state has sent dozens of children to out-of-state treatment facilities due to a lack of available treatment in Maine, while other children spend extended periods in psychiatric hospitals and hospital emergency rooms. Indeed, the report showed that the majority of children on waitlists for the intensive services of functional family therapy and multisystemic therapy are waiting longer than 120 days for care to address needs that are generally urgent. And the average child waited 59 days for residential services in state fiscal year 2018, up from 37 days in fiscal year 2016. The lack of access has pushed children into hospital settings. Of the 27 youth surveyed for the report who had been to the emergency room, the average length of stay in the ER was about eight days, with the longest stay being 90 days. It’s also pushed children out of state. Eighty-seven children were placed in out-of-state residential facilities in state fiscal year 2018, up from 46 in state fiscal year 2016. Most have remained in New England, but others have traveled as far away as Arkansas, Missouri, Illinois and Utah. The need for services is great. An estimated 65,786 children, ages 2 to 17, have been diagnosed with a developmental, mental or behavioral issue. Many of the children are on MaineCare, the state’s version of Medicaid, though services may also be covered by private insurance or with additional state and federal funds. A total of 30,856 children on MaineCare received at least one behavioral health service during state fiscal year 2018, according to the report. The system responsible for helping children with mental health needs has changed in significant ways over the years, contributing to a number of challenges. Today, for instance, the private sector is almost exclusively responsible for coordinating care, according to the report. Where state staff were once responsible for managing the waitlist for children’s mental and behavioral health services, that task is now fulfilled by the company KEPRO, which does not have the same relationships with or understanding of service providers that state staff once had, the report says. 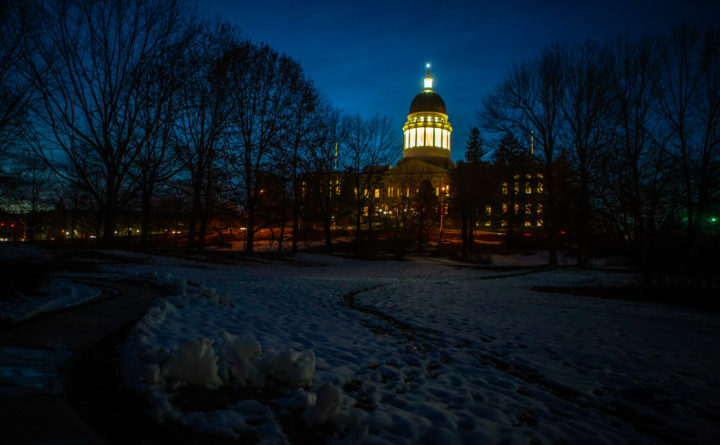 While state staff expressed extreme frustration with not being able to match children with care, local providers said their distrust in state workers has grown. Compounding issues of communication and coordination are serious workforce challenges. In 2017, Aroostook, Penobscot, York, Androscoggin and Waldo counties had severe shortages in child and adolescent psychiatrists, according to the report. Washington, Lincoln, Sagadahoc, Oxford and Somerset counties had none at all. Numerous people contributing to the report said low salaries are the reason workers don’t enter or stay in the field, which can be stressful and sometimes dangerous. Behavioral health providers who aren’t required to have a bachelor’s degree are paid $12.80 per hour on average. Meanwhile, Maine’s child and teen suicide rate increased 30 percent between 2012 and 2017, and exceeds the national average. Rates of depression among youth have also increased in recent years.